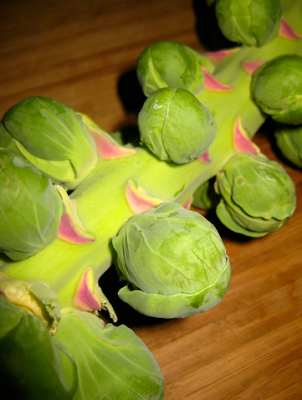 I am fascinated by brussels sprouts. They might be the most unloved vegetable. 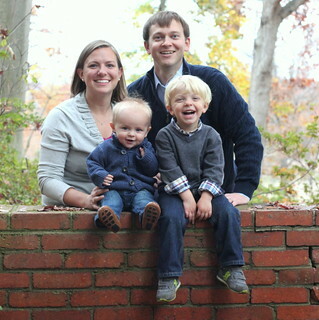 They are under rated and often over looks. 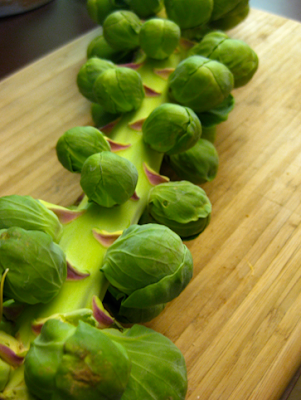 Brussels sprouts bring a depth of flavor to the table that makes me long for the first fall frost. 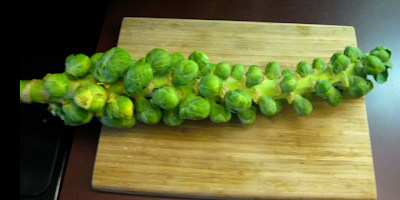 Each week at my CSA I asked if it had been cold enough at the farm for brussels sprouts...and each week I waited. When it was finally time, I was brimming with ideas of how to prepare these lovely little gems! Toss brussels sprouts with good EVOO a bit of lemon juice, freshly cracked pepper and plenty of coarse salt. "Roast" in the oven at 350 for 40 minutes or until golden brown. Serve as a side or tossed over pasta! 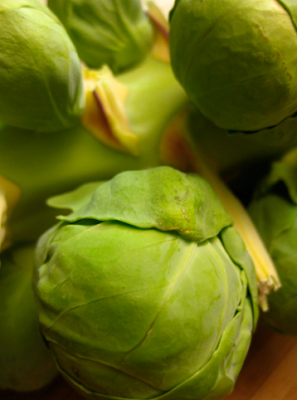 Steam brussels sprouts for 5-7 minutes until bright green and tender. Melt butter in a large skillet. Add garlic; cook until soft. Stir in brussels sprouts. Add salt and pepper then lemon juice and walnuts. Serve warm. i love roasted brussel sprouts!! i use barefoot contessas recipe-- basically olive oil and LOTS of salt. deeelicious. Hmmm...I checked that recipe out. What makes the barefoot contessa recipe seem so much better when we basically do the exact same thing? And aren't her recipes supposed to be insightful? Seems pretty basic compared to her other stuff! Agreed - She's way basic. Even one of her cookbooks is called "Back to Basics" but then... sometimes it's nice not to messy up an ingredient as delicious as brussels sprouts! ps im jealous of how earthy and csa-y they look on the stem. trader joe's vacuum seal bags make them lose their luster.